Traditional style and produced for a premium feel for larger rooms. The Malvern Bunk Bed is unlike the majority of standard bunk beds on the UK market. This item has been developed for growing children with large rooms. 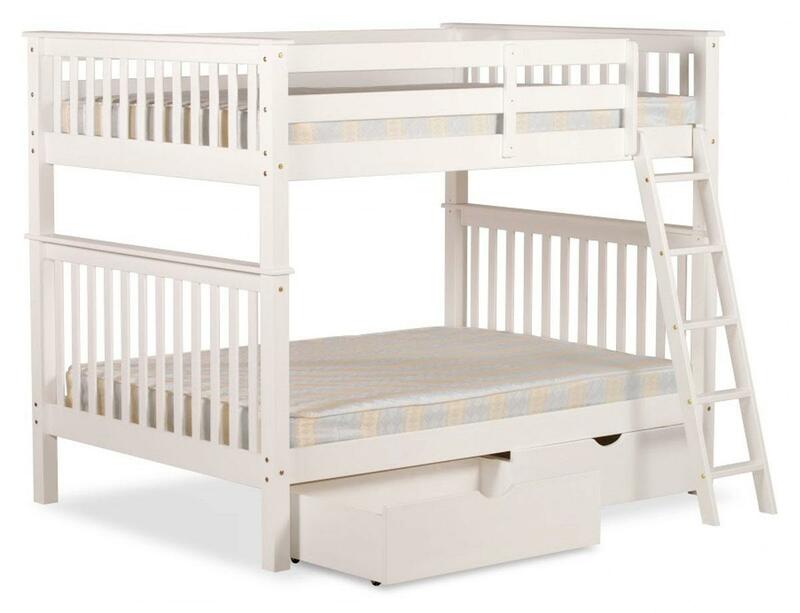 With this 4FT small double bed sizes on both the top and bottom bunk. This particular range of wooden bunk beds are not manufactured by ourselves, but are brought to complement our own extensive range of pine and oak bedroom furniture. We searched extensively for a range of bunk beds that would compliment our own range of solid pine furniture, we are sure these robust wooden bunk beds offer the best quality you will find for this price. Mattresses are not included as standard, though we do offer a small range of mattresses, including sprung, to fit all of the beds we can provide.